What it is: A tinted primer that we paired with Benefit's fan favourite mascara (each sold separately), to get defined, lengthened lashes. Each product is infused with vitamin B5 — which means this duo conditions lashes as well as boosting their length. Beauty bonus: Adding tint to the primer? Genius! We had to put a couple coats on, but it can be used as a mascara for a nice, natural look. Beauty bummer: In an increasingly complex beauty routine, this primer represents yet another step. Overall: This primer is definitely worth a try. The primer separates lashes nicely giving the mascara a little bit of grip to build length. Used with the mascara, which already has a cult following,lashes definitely looked longer and more look-at-me. 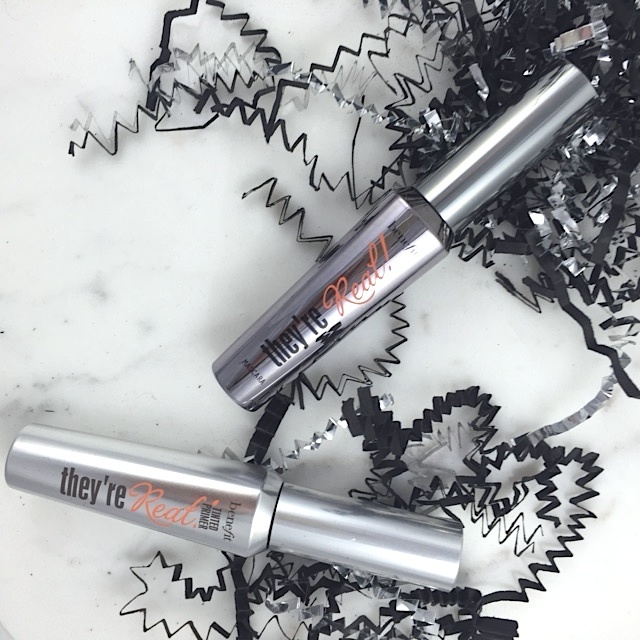 The mascara leaves lashes clump free and super defined while the tinted primer (again, genius!) is a perfect product for getting those 'is she or isn't she wearing mascara?' lashes. We were happy with the overall result of both products. Would recommend? If you have a fav volume mascara, use this primer with it to build length. If length is what you're looking for this combo of primer and Benefit They're Real mascara is on point.